These red-billed gulls must have found some food scraps, as they fluttered about, making a major racket. So nice to see in B&W! I like gulls, and this picture make me smile. Are you still in Germany? If you are near Dortmund (who wants to go there? ), we could meet. A beautiful photo with great sharpness and nice light. I love the detail of their wings – all flared out and showing the feathers so well. 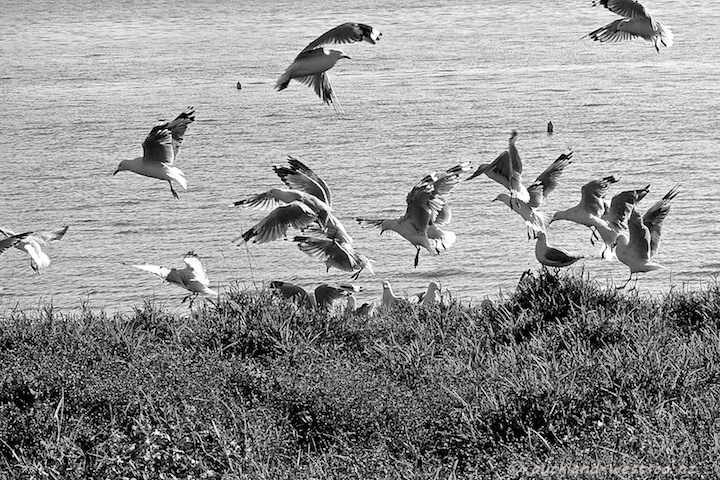 Gulls always look (and sound) like they are at a party.